Mineral resource potential mapping is a complex analytical process, which requires consideration and integration of a number of spatial evidences like geological, geomorphological, wall rock alteration, etc., using the capability of analytical tools of Geographic Information System (GIS). 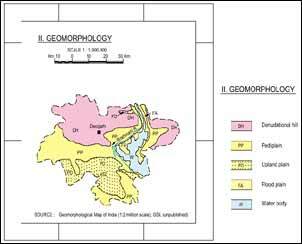 The capability of Geographic Information System (GIS) to manipulate such classified spatial information through amalgamated layers, makes it a unique tool for delineating potential locales. Flexibility of experimenting with spatial data followed by visualisation of its effect immediately gives GIS a cutting edge over other contemporary techniques, for modelling mineral deposits.